Stainless steel Integrated 1.65W 24V LED fitting with 2.5m extension cable. 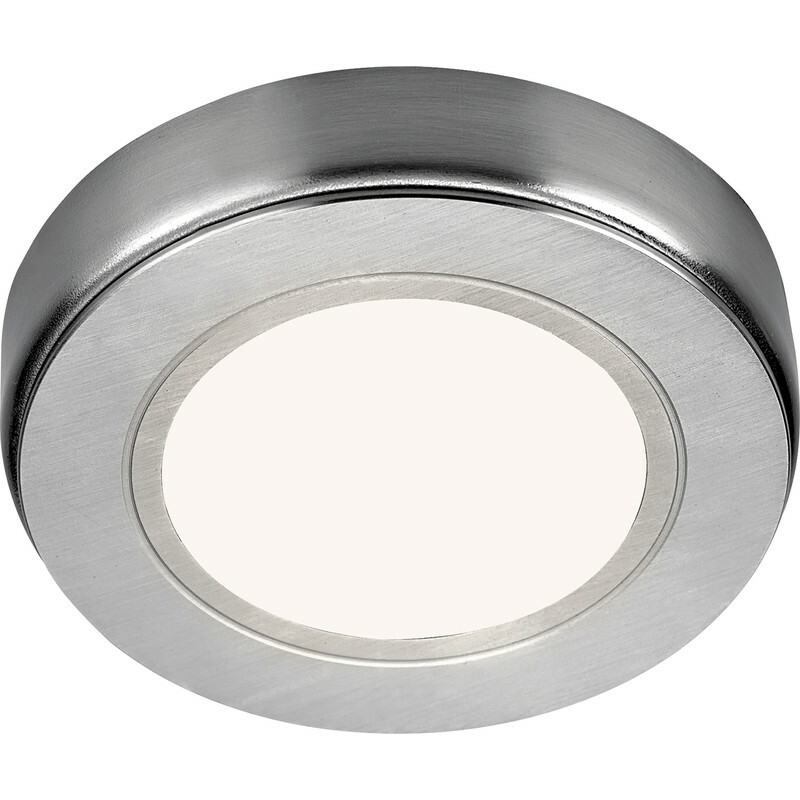 Sensio LED Low Voltage Round Under Cabinet Light 24V Warm White 80lm is rated 4.3 out of 5 by 3. Rated 4 out of 5 by Anonymous from Nice lights but... These are great down lights for the kitchen cupboard units. Unfortunately Toolstation neglected to sell the appropriate LED driver to go with it (24V). Had to buy one from the company that makes the lights. Very inconvenient. Rated 4 out of 5 by Cham from Very nice light but not entirely as described Bought this single unit to match a 3 light and transformer set. Unfortunately the light did not come with the LEDs showing as in picture but came with a frosted glass cover. It doesn't really notice where placed and the single unit actually puts out a better light pattern than the others so happy overall.